Leading British psychologist Dr Tanya Byron has called for a new review into online and mobile gaming, suggesting that the industry should have an accepted code of conduct in order to protect minors. 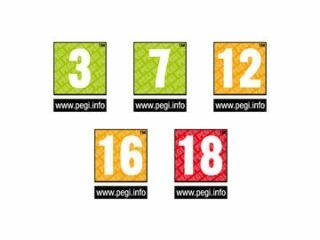 Byron carried out an intensive review of issues surrounding gaming and web-access for British children back in 2008 for the Labour government – which eventually lead to the BBFC being replaced with PEGI as the body responsible for age-ratings on games. As part of her progress report on her 2008 Byron Review, Byron now wants to see a new and independent report to look at how a possible code of conduct might be implemented in the flourishing online, mobile and casual gaming industries. "It is important that families have up-to-date advice about new ways to engage in gaming," she said. "All UK mobile phone networks offer a level of filtering which can be activated when the phone is purchased or later by phoning customer services. "However, it is questionable whether parents are aware of this and take advantage of it. And if a child accesses the internet using wi-fi they by-pass any filtering which may be switched on at a network level. "I recommend that the UKCCIS executive board commission the video games working group to examine and report back by September 2010 on whether a code of conduct supported by independent review for online and casual gaming is needed." Check out Dr Byron's full progress report here.